today started later than usual, which meant we could sleep longer, win for us! Yesterday (Wednesday) we made plans with the same teacher (Deniss), to come to school at 13:00 and be there till 18:00. We'd join the older group of students, over 25 years I think and be a part of the digital typography class; they had just started that class last week so it was perfect! Me and Nika agreed on that timetable for the day, and woke up the next day, today at 10 and slowly got ready for school; made breakfast, lunch to go and tidied up our little apartment. We arrived at the school, each choose a free computer and first watched what the other did. The students showed the teacher their homework/work they had to finish in the class from last week. They had two tasks to complete, the first one was to make a list of 15 antonyms (words that are opposite from each other; 5 adjectives, 5 adverbs and 5 nouns) and for each choose a font that best describes the literal meaning of the word; our task was when the students finished showing this part of the work, to guess a few words and see if we understood any estonian and if the students did a good job at choosing the fonts or not. At first we were so lost and had no idea what was going on, but eventually we got the hang of it and understood a few words. The second task was to made 3 different posters, similar to the Keep calm and carry on, but to choose a different font, that didn't fit the meaning behind it at all. It was interesting to see other people's work. 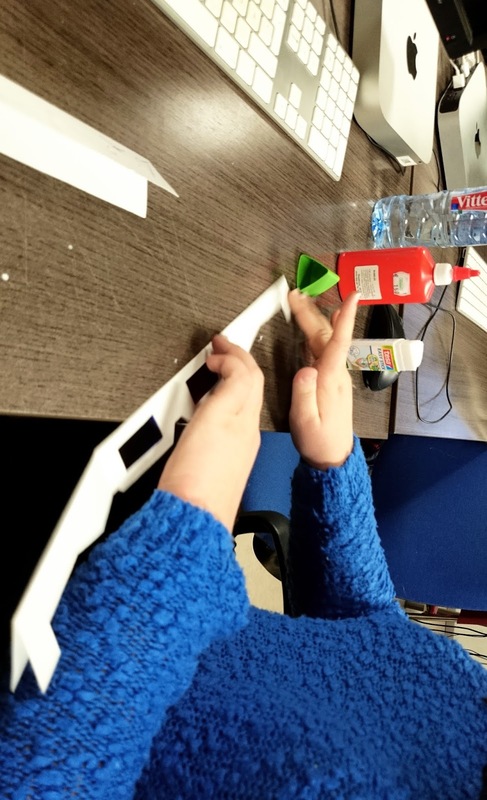 When a few of them showed their work, the teachr explained to us all (first in Estonian, than translated it to English for us) how to make paper 3D glasses. He gave us all material and an outline of the classes and we started making them! We had no trouble making them, and a few of the students even helped us, by cutting paper for others and also gave us both one. 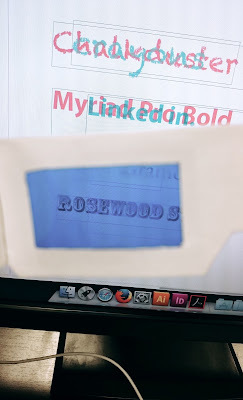 When twe finished making them, the teacher put up a picture on the projecter of 4 words we could look at with the classes; when closing one eye you could see one word, when closing the other you could see another word. 4. on both words, we reduced the opacity to 60%, put one word over the other and the list was done! my finished list; I will show it to the teacher next week and see if it's good! We had to finish this task whilst in class and we both did. Because we had some time left, we could leave early, the teacher was fine with it and a few students left early, but we decided to stay till 18:00 because we aren't used to leaving class early. Since we stayed, the teacher gave us some additional work and also homework. We had to do the work the students did last week; the keep calm task and the list of 15 antonyms. and our task was to make 3 posters, that looked the same but use a font that didn't fit the meaning. When we had finished that, we had to make the list of 15 antonyms. We both first started working on the Keep calm posters but because it was nearly 6 we saved our work on the USB key I took with me and finished the work at home. Next week, on Thursday we will show all of our work and get the feedback. After that, we head back home, made a quick stop at the store to get some milk and cheese, made dinner, talked to our families on skype and went to bed. The weather was cold as usuall without snow! This post is uploaded later than it should, because we thought we uploaded it on time but we think we logged out too earli and the post didn't finish uploading. 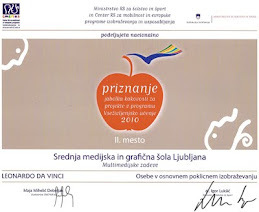 dnevi hitro tečejo, a ne?